We're meeting at the Nebraska Game and Parks Outdoor Education Center Wednesday October 17th. 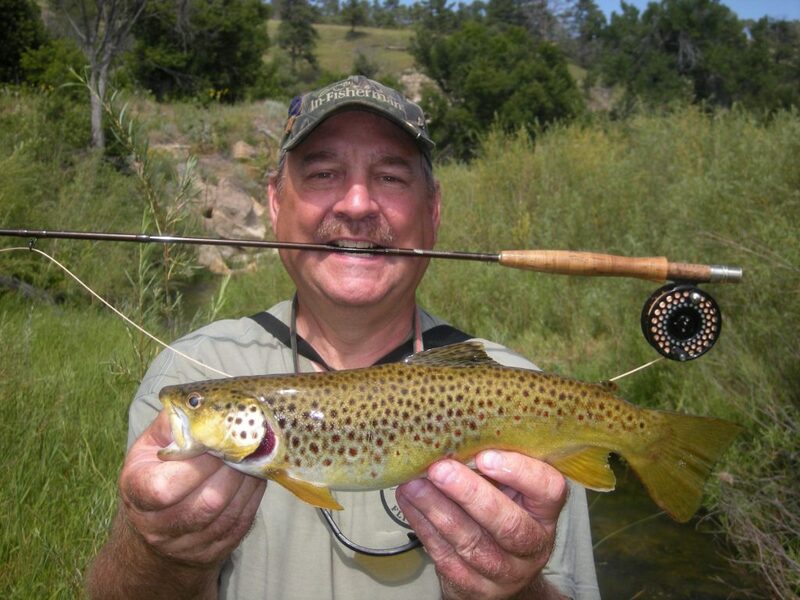 Our program this month is a presentation on the Nebraska Trout Slam from NEG&P's own Daryl Bauer! Check out Daryl's awesome fishing blog - Barbs and Backlashes HERE for great timely tips on fishing in the Cornhusker State. We'll have a full raffle with GREAT prizes!!! Doors open at 630 and meeting starts at 7. Daryl with a very healthy Nebraska Brown! Our fly of the month is the adult Caddis Fly. Check out our Fly of the Month Page and bring your best rendition to the meeting to show off your tying skills! We have our annual Rainbow Trout Club Fish-Out October 20th at Holmes Lake in Lincoln! It will be stocked with trout that will be hungry for a fly! Hope to see you there!